by IM Arthur van de Oudeweetering. I have posted many times and offered many quotes by strong players about the importance of pattern recognition when it comes to improvement and van de Oudeweetering has produced a truly great book on this important subject. Positions often have similarities with something you have seen before and this is basically all that pattern recognition is. We think in patterns, but studies have shown that we amateurs just can't see the best possibilities like GMs do simply because our recognition of patterns is limited. But, learning patterns is often a hit and miss process. Playing over thousands of master games quickly where you are going after quantity was the way U.S. Senior Master Kenneth Smith recommended doing it, but that system is pretty unorganized. A refinement is simply to play over games using the openings you generally play so as to become familiar with the recurring patterns in those openings. In this book the author, in an organized way, supplies building blocks by giving short, well-defined subjects that are easy to remember and each section has exercises at the end. He also assigns each pattern a funny name, but, seriously, it's that funny name that may help in remembering the theme. The author presents 40 patterns and in each chapter he gives you 7 or 8 examples of the theme and lots of diagrams are provided. As an additional, and important, feature he also gives a PGN database from the publisher's website that you can download that contains additional games for study. To reinforce the patterns he provides 4 tests of 10 problems each. Highly recommend for players rated 1600 or above. The price is a bargain, too!! Liew is an IM from Malaysia and an FIDE Trainer. The Veresov begins with the moves: 1. d4 d5 2. Nc3 Nf6 3. Bg5 and is attractive because it's rarely played and so there is not a lot of theory on it. By playing the Veresov after reading this book you will be on familiar territory because you will be familiar with the themes and patterns that develop from the opening. I know, I know! Authors usually give this as the reason for playing a lot of openings, but in the case of the Veresov, unlike many seldom played openings that are recommended to amateurs, the Versov is a reasonably solid opening. Of course, it's not without its weaknesses. As Nigel Davies observed in his book on the Veresov, if black knows what he is doing white will be struggling to hold his own. But, for most of us who won't be paired against any internationally titled players that possibility is slim and equipped with the knowledge gained from Liew's book, we should be in pretty good shape. The Veresov allows you to choose lines that are either positional or tactical in nature so it can be used by players who prefer either style. Perhaps the books greatest value is that the author uses the Socratic method of teaching where he continually asks questions that will make you think and keep you involved. To do this he uses an excellent move by move format. 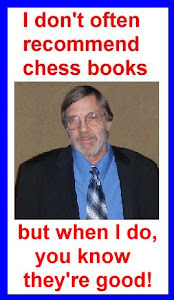 Naturally he explains the main positional and tactical ideas for both sides and provides answers all in an easy to understand prose style that doesn't leave the reader swamped in a maze of variations.